CALLING ALL ASTRONAUTS ARE BACK!! Dark Alternative Rockers Calling All Astronauts have spent the last 6 months locked up in the studio recording the eagerly awaited follow up album to the critically acclaimed debut “Post Modern Conspiracy”. Whilst the finishing touches get put to “Anti-Social Network” in preparation for it’s release next year, we are pleased to announce the first single from the album will be entitled “Empire” and is released on 27th November. Take a listen here now! ‘Super Producer’ Martin West aka KOERCIVE returns to the house scene this Autumn with this massive floor filler, in the shape of “Never Look Down”, dropping on 9th October on Supersonic Media. With a resume that includes working and collaborating with the likes of Mark Hill (Artful), Ben Ofoedu (Phats and Small) and Romans (Roc Nation) you definitely won’t be disappointed with his latest offering. Check out the video on “Never Look Down” on Vevo now. We are thrilled to announce that Mike Elrington’s “Believe”, taken from his forthcoming debut solo album “Two Lucky Stars” will be featured on long running Australian TV Soap Neighbours. The song will be featured in Episode 7188 which is due to air in Australia in August, and the rest of the World a little later. The “Two Lucky Stars” album will be released globally on 7th August, but you can listen to sneaky peak of “Believe” here now! This July sees London based Supersonic Media return with a summer banger in the form of “Waiting” by Jodz. Mancunian Jodz has been making waves as one half of The Beat Corporation remixing the likes of Zed Bias and Mike Delinquent and here Jodz’s presents his debut solo release “Waiting”. Jodz, as an established producer and songwriter, has always adopted the policy to create effective house music with no limitations and boundaries. From deep house/nu disco/soulful house/dance & electro with deep heavy basslines, the vibe is reminiscent of the old school house & garage era he grew up in.. with melodies playing a big part in the sound too. This is an ethos that has worked well for Jodz as he’s received continued support at radio from the likes of 1Xtra, Kiss FM, Capital FM, Kiss Fresh and Capital Xtra. “What The Hell Are You Gonna Do When She Comes”, the debut album from punk rockers Caffeine was first released in 2000. Fast forward 15 years and the album has finally received it’s fist digital release! So what are you waiting for?! 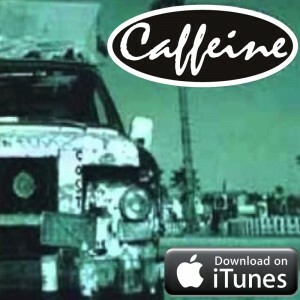 Head over to iTunes now and grab your copy! More of a streaming fan? You can find it on Spotify too. 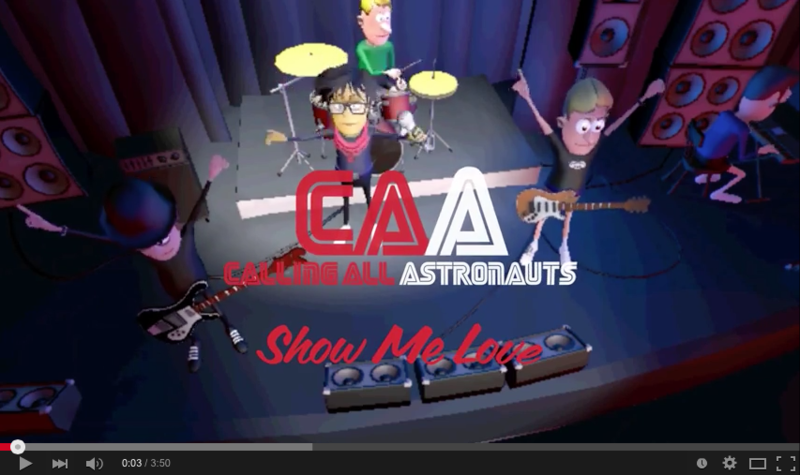 Alt rockers Calling All Astronauts are back with their new single, a cover of 90s dance classic “Show Me Love”, originally by Robin S. This is “Show Me Love” like you’ve never heard it before! The video for the new single (released 22nd March) sees the band take to the stage in animation and captures the personalties and appearances of David, Buzz and JJ perfectly! You can watch the video here now. 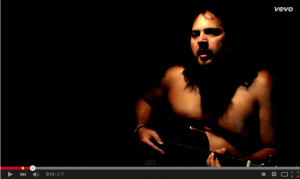 Mike Elrington’s new video for “Build You Up (To Cut You Down)” went live today on VEVO! Watch the video now and leave Mike your comments, and don’t forget to subscribe to Mike’s Youtube Channel too to show your support. “Build you Up (To Cut You Down)” is released on 29th March. Pre-order your copy here. London based Alt-Rockers have announced they will be releasing their new single in March. “Show Me Love”, a cover of the 90s Robin S Dance classic, shall be released on 22nd March. Earlier this month, helped by their Twitter fans, the band shot to no1 spot again on the Twitter Music Charts, giving lead singer David a great birthday present! We’re very proud to see two of our releases riding high in the official, global Hype Machine Twitter Chart today. Don’t forget you can check out all our releases on our Spotify page.